If you’re planning a weekend trip antique hunting in London, you’re in for a treat. And to take out some of the leg work, we’ve pulled together an itinerary of London’s best antique markets for a packed few days. London’s top antique markets, shops and galleries are diverse and eclectic – just as you would expect from a global city. Expect to discover everything from Tang dynasty porcelain and Chippendale masterpieces to vintage vinyl and 20th-century designer classics. And, with its long history of trade and opportunity, expert hagglers can discover that antiquing in London still sees the streets paved with gold – if you know where to look! Half car boot sale, half chic Parisian flea market, Bermondsey market is the place where the dealers come to stock up on antique china, silver, furniture and glassware. Located in Bermondsey Square, a stone’s throw from The Shard, the market boasts 200-odd stalls, now also including food, fashion and craft. 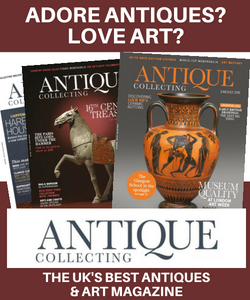 Dealers frequent the market knowing it is the best place to find quality antiques and interesting artefacts and every visitor who makes a bargain deal will understand why they keep it a secret. Discover timeless antique china alongside Victorian photos, rare furniture with mystic engravings and perfect retro decor for your home. And if you are in the market for glassware, these age-old streets will certainly also provide. But, be warned, arrive early; deals are done quickly and vendors begin packing away in the afternoon. And with no tube lines running at this time, research a bus route or even book a taxi. If you want to combine antique hunting in London with some history, Greenwich Market is one of the capital’s finest covered antiques markets and the only one set inside a World Heritage Site. Greenwich Market’s seven-day bonanza brings you 120 stalls showing anything and everything. A must-visit on your antique buying trip to London, expect to find everything from antiques and collectables to independent boutiques and well-known fashion brands. Greenwich is renowned for serving up the perfect balance of vintage pieces and modern designs. 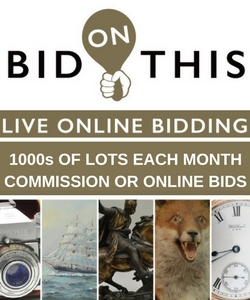 Antiques and collectables are the order of business on Mondays, Tuesdays, Thursdays and Fridays. Fridays are jampacked as the craft and design team also joins the fun. Antique days are noticeably smaller than the busy weekends. However this doesn’t detract from the quality. More than 40 stalls and London antique shops selling 20th-century bespoke and restored pieces, fill the hall. And shipping is offered on any item that is too big to carry home. Located just five minutes from Selfridges, Grays Antique Centre offers an entertaining experience for anyone antique hunting in London, with 200 independent dealers selling a broad array of collectable, antique and vintage items. Housed in a stunning red terracotta building, the centre claims to be “one of the world’s largest and most diverse collections of fine antiques, jewellery, and vintage fashion”. Vendors located downstairs showcase fabulous vintage clothing and costume jewellery. Located just south west of Regent’s Park, Alfies Antiques Market is London’s largest indoor antiques market (35,000 sq feet) and a treasure trove of individual shops. Alfies hosts a bustling indoor market with a bohemian chic atmosphere that’s great for decorative and unusual antiques, vintage and collectables. 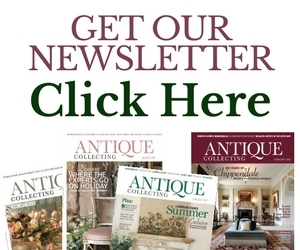 With close to 100 dealers over the building’s four floors, for over 30 years Alfies has attracted serious collectors, interior designers and even celebrities. Overall, Alfies offers a good blend of houseware, clothing, and furniture – much of it mid-century modern design and art deco. A quaint, pedestrianised passage with over 200 antique dealers trading in anything from Staffordshire pottery to antique door handles. Not to be confused with Camden Market, Camden Passage in Islington is a true hot spot for hunting antiques in London. With four separate antiques markets serving different areas, take your time to experience the mounds of sparkling trinkets, vintage clothing rarities and scarce first editions. One of the antiques markets, Pierrepont Arcade, is a covered area towards the far end of the passage offering antique gifts and designer costume jewellery. Camden Passage is a wonderful place to browse if you are not looking for anything in particular. A short rummage through the stalls and you will certainly find a gem, or simply take pleasure in a few hours away from the bustle of the city. Perhaps the famous of London’s antiques markets and renowned across the world, every weekend thousands of tourists and locals descend on Portobello Road in Notting Hill to search for delectable antiques, exquisite vintage fashion and finest jewellery from over 1,000 dealers. 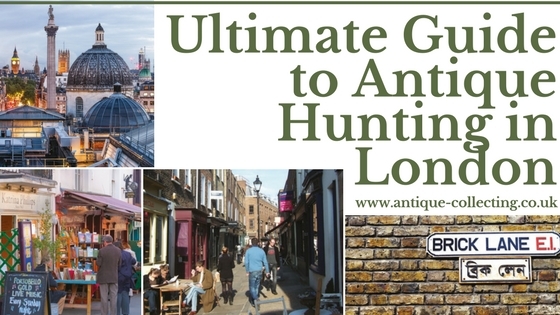 Although open seven days a week, it’s the weekend when the streets really come alive with an estimated 100,000 visitors hunting out antiques in this London landmark. Exit the tube station and discover a mile-long strip of stalls, arcades and shops to satisfy all visitors. Antiques, of course, are the main attraction of Portobello Road, with a rich heritage dating back to the 1940s. Each vendor is a specialist in a certain field and together they have hundreds of items on offer. Friday and Saturday buzz with energy, vintage bargain hunters should head to the north end of Portobello Green and the never-ending selection of vintage clothes rails. At the southern end, the antique stalls are laden with beautiful old relics and ornate vintage furniture. Come early, 7.30-8am is best. From 11.30am onwards not only are the streets fit to bursting, many of the antique bargains will have gone, with lots of dealers packing up. 11-acre Old Truman Brewery, at the north end of Brick Lane. Of these the Tea Rooms and the Vintage Markets are the most interesting, offering an eclectic collection of antiques and collectables. Open seven days a week with specialist market days and one-off monthly events, collectors can rummage around the eclectic mix of antique gems, vintage fashion and fine art dealers. From antique walking sticks to old-fashioned shipping maps, to the endless rows of quality sterling silver jewellery Spitalfields offers something for everyone. No wonder, then, that Londoners join thousands of tourists to visit this modern development of 150 stalls of vendors from across the globe. Plus the street food on offer is terrific. Nicholas Martin is the founder of fleamarketinsiders.com an online guide to the world’s best flea markets.